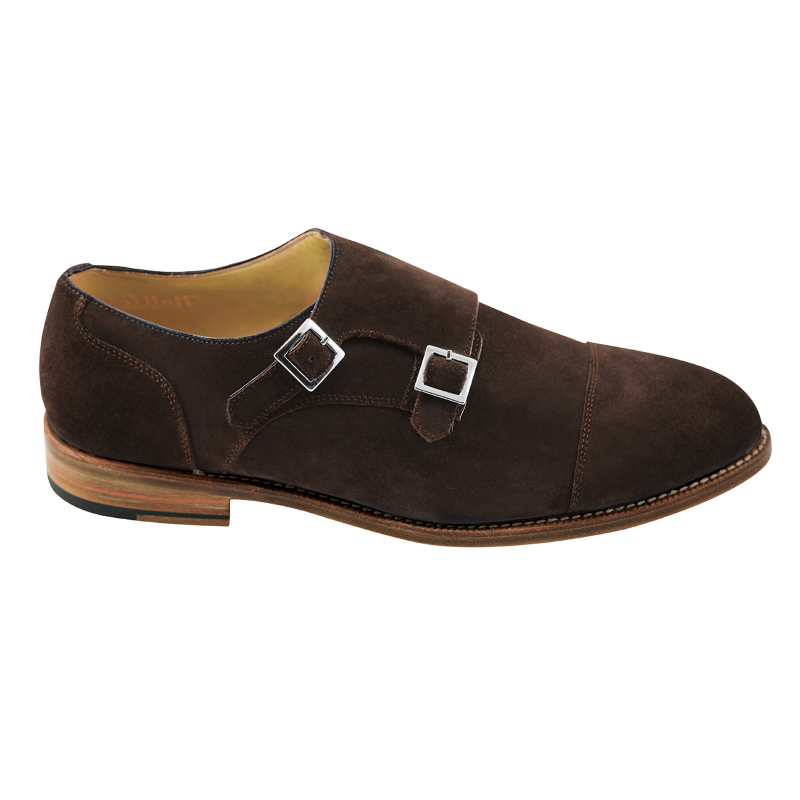 Beautiful suede double monk strap shoes with cap toe construction, goodyear welted, leather sole with stacked heel. Handmade in Belgium. Limited time Spring Sale. Pricing available while limited quantities last.